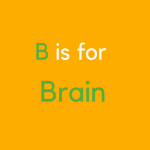 Look out for our A to Z to parenting on our Facebook, Twitter and Linkedin posts. Here’s some to get you started. If you have any of your own please do let us know. 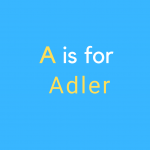 A is for ALFRED ADLER. Sharing Parenting programmes are based on Adler’s theory that ‘all behaviour has a purpose’. Do you often wonder why your child wants your attention as soon as you try to make a phone call? It is likely they are trying to fulfill their NEED to CONNECT with you. At Sharing Parenting we support parents, carers and professionals to help them find the reason (or need) behind any challenging behaviour. Did you know that how we behave with our children when they are young can determine the way the brain structures? Modelling kindness and respect and supporting your toddler or child to learn such as to wait, take turns, say please and thank you helps them to regulate their first emotions (such as anger) and make connections from the front part of the brain to the back (which helps them learn about others and empathy). The brain ‘re-prunes’ in the teenage years too – Have you ever wondered why some of your teenagers behaviours are similar to when they were a toddler? At our Sharing Parenting Programmes we look at the changing brain in Raising Toddlers, Raising Children and Raising Teens Let us know if you would like us to book you a FREE place. 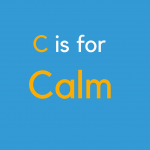 C is for CALMING techniques. When children (and indeed everyone) gets angry they can get what’s called ‘emotionally flooded’. This means all rational thought disappears and is replaced with a rush of strong emotional feelings (such as frustration or anger). As the brain floods it passes the ears so makes it difficult to listen and reason. We need to support our children to calm down and having a friendly chat or just telling them to ‘calm down’ is probably not going to work at this point – if you’ve ever tried to reason with a child who is in the middle of a tantrum you’ll know what I mean! Breathing slowly, counting to 10, blowing real or imaginary bubbles, laying down with a teddy on their chest and watching it rise and fall, sitting like a frog, giving yourself a hug are all strategies which will help calm the child, the brain and the situation. It is a good idea to show your child and practice these strategies before the next outburst when they are calm and will listen and in a better place to understand what you mean. You and they can then be ready when they are feeling emotionally flooded and you can remind them to blow the bubbles or watch teddy etc. Remember too that children often feel scared and confused after a tantrum or emotionally flooded moment so as soon as they have calmed down be ready to ‘catch them being good’ (however small) and reassure and encourage them positively. Effective discipline ‘teaches’ children what is right. This is different from punishment which focuses on what is wrong. The most important thing you can do for your children and teenagers is to keep open communication and protect their self esteem. This in turn will help them make positive choices in life. Punishment is based on revenge, is harmful to the parent-child relationship and even though misbehaviours may stop this is because of fear and anger and does not teach children to make positive choices in the future. 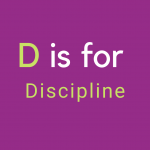 Discipline is based on teaching and learning, teaches children new positive behaviours and helps them feel safe and learn to be responsible. You can find more about these positive behaviour strategies on our courses. Please contact us for more information or to register your interest on our next course. Parenting Conference 2019 – ‘Everyday Magic by Ordinary People’ is back!Support for over 300 families a year recognised in Community Award.